2-х или 4-х клеточная панель с конфигурацией антигенов специально отобранной для скрининга наиболее клинически значимых антиэритроцитарных антител. 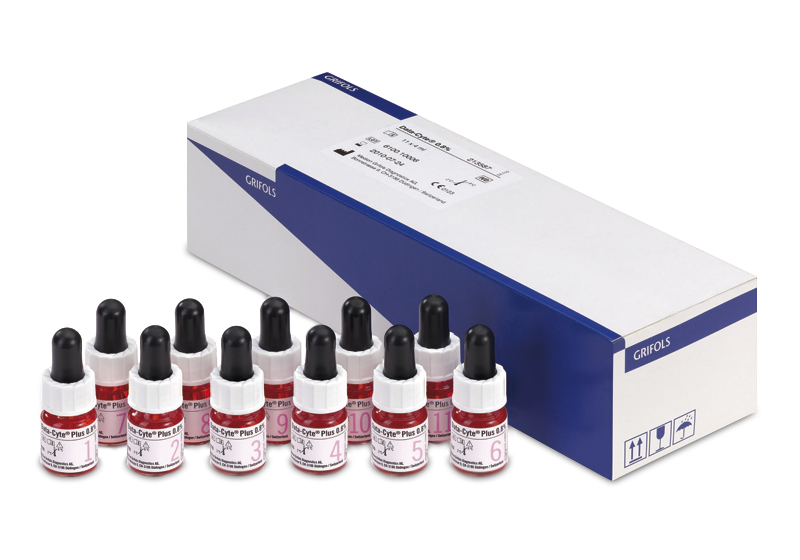 There are nine different options for determination of the reverse group, thirteen different options for screening panels with 2 and 4 cells and up to forty-three different cells for the identification of unexpected antibodies. Panels of 2 or 4 cells, with a specifically selected antigen configuration, for screening most of the clinically relevant unexpected antibodies. Eleven-cell and fifteen-cell panels, with an antigen configuration specifically selected for identification of clinically relevant unexpected antibodies. 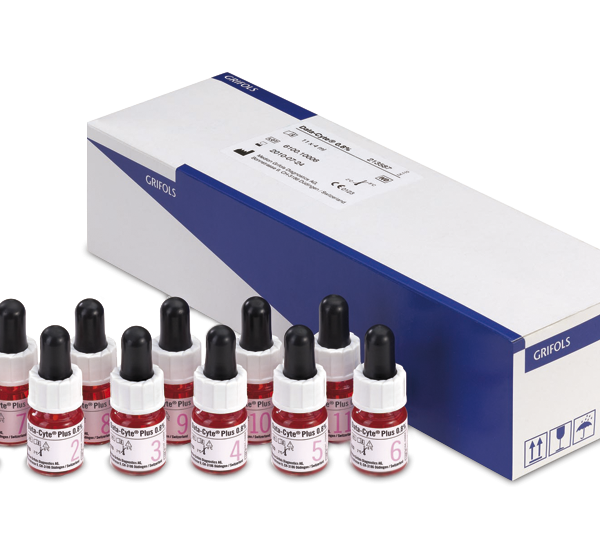 A complementary range of papainized (P) Red Blood Cells is available. Several panels can be used in combination. DG Fluid A is a saline-base solution used, once diluted, for internal washing (fluid system and probe) of “in vitro” diagnosis devices, together with DG Fluid B.
DG Fluid B is a tensioactive solution used, once diluted, for internal washing (fluid system and probe) of “in vitro” diagnosis devices, together with DG Fluid A.